In my last post about great silly books to share with kids, I intentionally left out one of the most famous silly books of all time. We’ve actually been reading it and its companion books quite a lot. It’s full of hilarity, but I don’t read it as a silly book anymore. I read it as a parenting manual. What silly book could I possibly be referring to? Amelia Bedelia, of course! Peggy Parish’s famous character and all the books about her crack my children up. They still make me smile, too, but recently I had a revelation while reading them that makes me stop and take some parenting inventory while I read those fabulous books. You know Amelia Bedelia, right? That silly maid who takes everything absolutely literally and does all the wrong things, but somehow knows how to bake delicious and complicated desserts like cream puffs and lemon meringue pie? (My six-year-old son is on to you, Amelia Bedelia). Last week as we were reading, Thank You, Amelia Bedelia, he asked, “How does she know how to bake so well, but she doesn’t know how to do anything else?” He was seriously perplexed. Without giving it much though, I answered, “Maybe someone taught her how to bake, but didn’t teach her anything else.” And man, the moment those words left my mouth it was like a bright flashlight shone right into my eyes. And it did, because my two-year-old was playing with one. But figuratively speaking, I had an “Oh!” thunder clap parenting moment. Amelia Bedelia is like every child in the history of the world! Why is this such a revelation for me? Well, my oldest two kids are eight and six now. They’re pretty big, right? I mean, they can do a lot of things. Pick stuff up, put stuff away, clean stuff…or at least, that’s what I think they should be able to do. At the onset of this summer, though, I found myself harboring a sustained frustration at them. The ancient Mom Complaints went through my head a million times a day. “This place is always a mess! Why can’t they put anything away? Do I have to do everything around here? Why are there shoes on the coffee table?” (It’s ironic that we are the cause of these complaints in our early days here on earth and then we are the thinkers of those complaints later…sorry, Mom!). But then, I was reading about Amelia Bedelia scattering roses around the living room and stripping sheets (tearing them into strips, that is), and I thought, “Ha, that’s something my kids would do.” Ding, ding! That’s something your kids would do if you didn’t TEACH them how to do it the right way or explain what you meant! What it comes down to is my son was onto something. Amelia Bedelia could do one thing well, because someone probably taught her how. Amelia Bedelia didn’t know how to do anything else at all, because no one ever taught her how to do it. Yes, yes, I know, most kids are born with twice as much common sense as Amelia Bedelia. But even though these books are just meant to be fun and silly, they changed this family’s summer. All of a sudden, I understood that I needed to see this summer break from homeschooling as a time to school the kids on how to live in a home. It was time for me to explain to them what I mean when I say, “Sort the laundry” and “clean up the living room.” It was time to settle in and give gentle (…mostly gentle) reminders throughout the day about putting shoes away and clearing the table after dinner so that these things that matter to us as parents become habits for the children in my home. It’s been about a month since I made this discovery, and I certainly still get frustrated, but at least we have some foundation for what the kids know we expect from them now. At least when I get frustrated that there’s dirt all over the floor, they understand why, because they just vacuumed that room themselves yesterday and now they have to do it again. I guess you can say reading Amelia Bedelia taught me that it’s completely fruitless to be frustrated with my children if I wasn’t taking the time to explain and train. Now, every time I read those books to the kids, I am reminded of that lesson and I ask myself how I’m doing at it. Thanks for the parenting lesson, Amelia Bedelia. Lydia is sweetheart, we can’t resist her and her kissable cheeks, but we also can’t predict her. Her only pattern at 3-months-old is a good morning nap, and the rest is anyone’s guess. Sometimes she naps four times a day, sometimes we can’t get her to sleep from noon til midnight and we think we must be the worst parents in the world. Whoever says fourth babies just roll with it and are totally laid back…well, they haven’t met Lydia. Some days she’s completely blissful, some days she cries her head off. She’s not colicky but she’s not the classic happy baby. She’s just Lydia. And we love her. Spending so much time trying to soothe a baby or catch up on all you haven’t been able to do while trying to soothe a baby (hello, dishes from yesterday) makes the summer surprisingly slow. The blessing in it is we don’t get tempted to dash off to a hundred parks and play dates. I pace and hold Lydia and listen to Ella, Isaac, and Violet play with cars, with Legos, and everything between. There are forts of sheets and chairs in the living room, there are paper crowns taped onto baby dolls’ heads, there are chores actually being done, there is an eight-year-old with a book on the couch on a rainy summer’s day….there are all sorts of beautiful, everyday things to soak in when you’re just holding a baby, and all kinds of opportunities for kids to just be and play and learn with no rush and hurry. Would I like Lydia to have a more predictable schedule and to be happy all the time? Yes. Absolutely. But she is as unpredictable as she is cute (very). She’s a gift and she is unintentionally giving us the gift of a slow summer. I look forward to adventures with big kids, day trips to the beach and the mountains, a meal out without a meltdown, but for now…I’ll take the slow summer. Whether your summer is full of slow days in the sun or jam packed with on-the-go fun, I hope you’re enjoying it fully and soaking it up. Photos by Wenzel Photography (in a very casual, short photo shoot in the middle of a playdate! Aunts are awesome). We are hitting the short chapter books hard around here lately! It’s sometimes tricky to find chapter books suitable for very young children, but these I’m sharing today are perfect. I quite enjoyed them, too. If you’re looking for some quality literature to draw young children into chapter books, this list is for you. I read Gooney Bird Greene by Lois Lowry to both Ella (7) and Isaac (5) and they loved it. Violet (2.5) also listened and laughed with us. I don’t know why I’ve never heard of this book before now? It is perfect for 4-7-year-olds. Gooney Bird Greene is an accomplished story teller, and her whole second-grade class, including the teacher, is enamored by her true stories. This book would pair wonderfully with a story-telling unit study if you’re a homeschooler. Or just read it for fun! Because it is seriously fun. It’s the first in a series of five books, and I just discovered the whole series is on CD at my library. Score! I plan to check that out and give my kids lots of fun listening time during the long, hot afternoons this summer. I tried to read Pippi Longstocking to Ella when she was five and it was a major flop. I pulled it out again last month, though, and this time it has been a big hit with her and Isaac. Maybe Ella wasn’t ready for the absurdity of Pippi when she was younger (Ella’s a very literal person), but now the zaniness of this story completely entertains us all (yes, even Violet announced, “I love Pippi!” yesterday). I love all things Astrid Lindgren, so I can’t wait to read the next Pippi book! Princess Cora and the Crocodile is a purely fun and silly chapter book we all enjoyed at bedtime last week. Though it has chapters, it’s truly just a long picture book, with illustrations on every page. Princess Cora is a little girl whose princessly life is extremely dull, until her fairy godmother sends her a pet crocodile who hilariously sets everything right. I’m guessing even reluctant chapter book readers/listeners will enjoy this book. These next two books on our list are a bit more serious, but still great for young children. Isaac particularly liked The King’s Equal, a short fairy tale by Katherine Paterson about a haughty prince who can’t be crowned until he finds a wife who is his equal in every way. In six short chapters, kids (and grown ups) consider themes such as wisdom, kindness, industriousness, true beauty, and friendship. I’m so glad a good friend lent me this book! The Light at Tern Rock is another tiny book with big themes we recently finished. It’s about a young boy named Ronnie and his aunt who agree to fill in for the lighthouse keeper for a few weeks right before Christmas. The days keep stretching on and the main characters have to learn to make the best with what they have, and to be gracious to those who treat them unfairly. It was so good, a great read for kids six and up. (That image actually scares me a little bit). Or! It could mean one other thing. I’m pregnant. Twenty-four weeks pregnant, in fact, with our fourth child. We are thrilled! But you know what I’m discovering? When you’re pregnant with your second and especially your third or fourth (or beyond, I’m guessing), all those tips in the pregnancy books about how to take care of yourself just sound like mean jokes. Thanks for those tips, thanks a lot. You want a really useful tip for your fourth pregnancy? Ovaltine. Okay, so yes, these ads probably aren’t founded on very scientific data and could be at fault for false advertising. I’m guessing “false advertisement” wasn’t a thing in 1950. 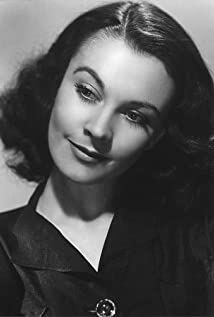 But even though I still wake up looking like a druggy instead of Vivien Leigh, when I am pregnant, Ovaltine becomes a staple in our pantry. I drink it about every other night because, believe it or not, it cures my restless leg syndrome that only flares up when I’m pregnant. It really does. Maybe I’m actually treating myself with the proverbial sugar water, but if tastes like chocolate and has calcium in it? I don’t really mind that I’m psyching myself out. So, while Ovaltine isn’t giving me one red cent for saying this, Ovaltine is my only true pregnancy tip for the world in a fourth pregnancy. Oh, and maybe some water with lemon. But Ovaltine tastes way better. No one told me The Frog Prince was actually about motherhood. It turns out, it pretty much sums up my life right now. Dear mothers, this is what a true fairy tale life is like. They will eat off your plate. They will sleep on your pillow. Then they even drive our cars. Luckily, these babes are much cuter than even the cutest frogs. And when you kiss them, they don’t transform into grown princes or princesses right away. It takes a little while, and thank goodness for that. We’ll get our pillows back someday, but not too soon, please not too soon.